Boone was an American pioneer, explorer, and frontiersman. 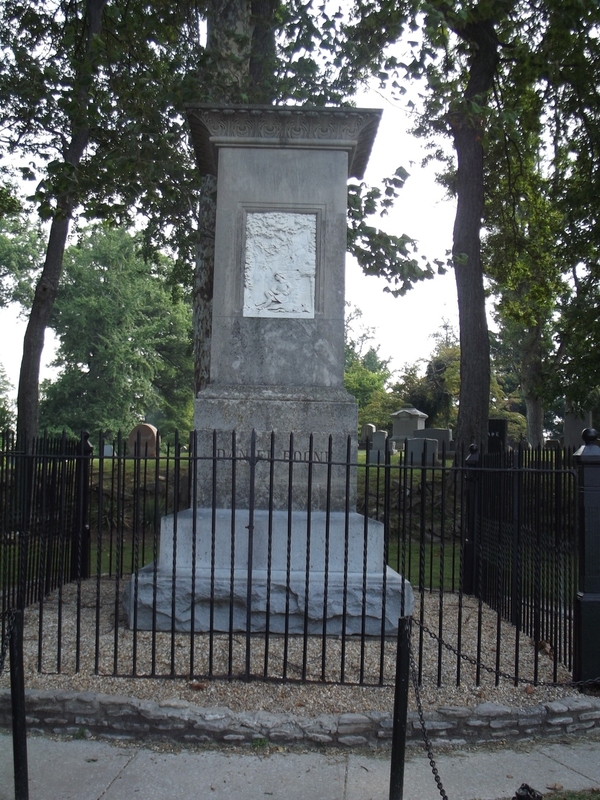 There is debate to his actual final resting place. 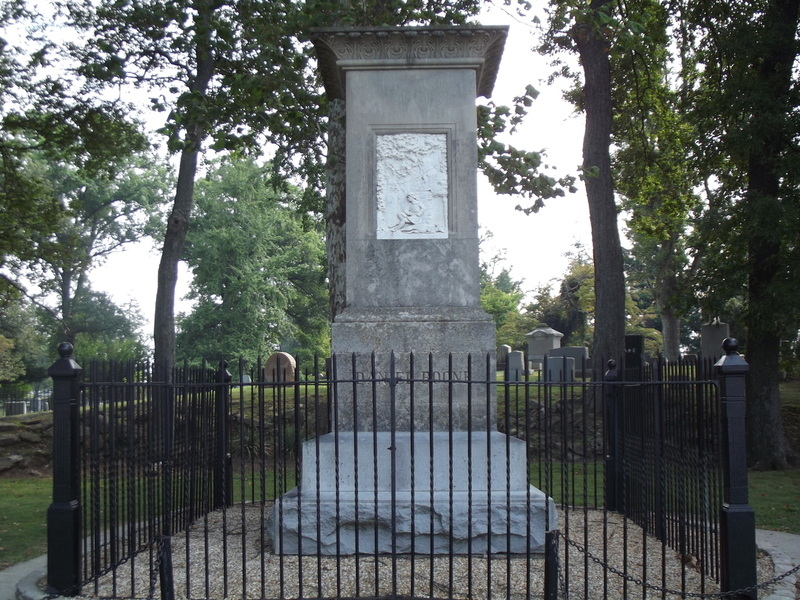 The photos below are from the theoretical resting place in Frankfort KY, and the actual resting place of his wife Rebecca. 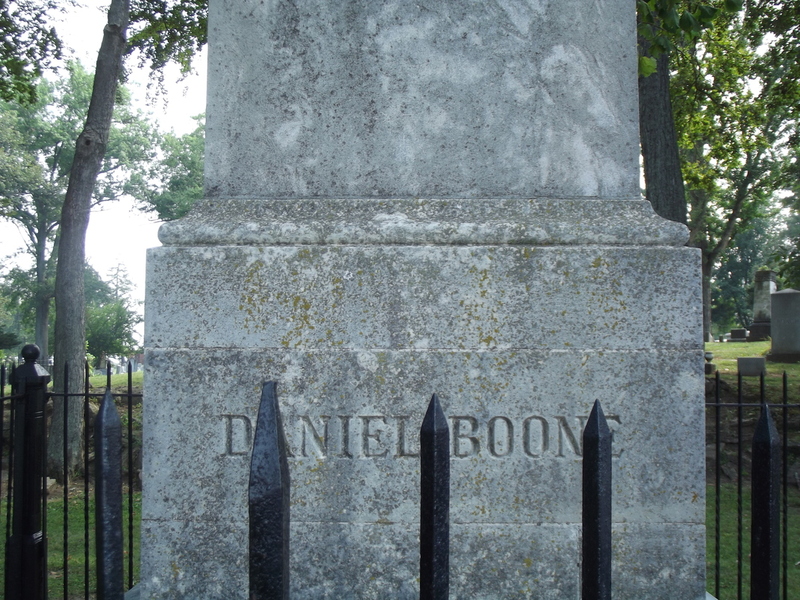 The Boones were originally laid to rest in Defiance, MO. Legend says that he was buried on his wife's right. When it was decided to re-bury Boone in Frankfort, they did dig up Rebecca, and the body on her right - if one was facing her. Not HER right. 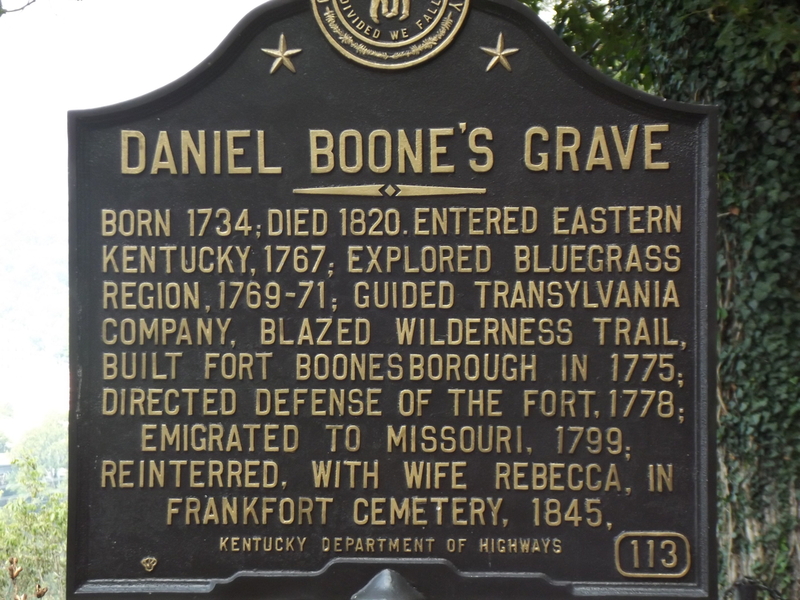 And neither of the plots next to her was marked, so while the people in Frankfort believe they have the real Daniel Boone, those in Missouri disagree. Either way, both places have very nice tributes to the man.